If you've ever seen the commercials for Apple products, you might be intrigued to actually try them out without making a big purchase. With iPadian, you can play around with features and tools which look and act like those on iPad and other iOS devices. iPadian is a free iPad simulation tool which does not change your own operating system but really on top of your desktop like most other Windows apps but in full screen. It might be comparable to some of the Android Players out there. 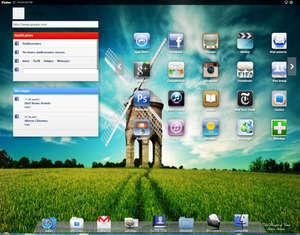 For security reasons, you should also check out the iPadian download at LO4D.com which includes virus and malware tests. Additional screenshots of this application download may be available, too.